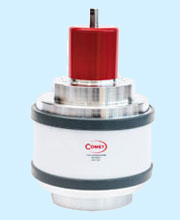 COMET AG has been manufacturing fixed and variable Vacuum Capacitors since 1965. Our excellent reputation for product quality has resulted in close cooperation with leading international companies in the RF industry. 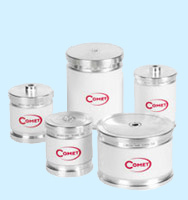 COMET is an expert for high vacuum technology, material science and mastering of high voltages. COMET's two major business areas are Semiconductor and Broadcast. In the Semiconductor industry we supply Vacuum Capacitors for production equipment of computer chips, flat panel displays and solar cells. In Broadcasting our Vacuum Capacitors are used primarily in short and medium wave analog and digital transmitters.